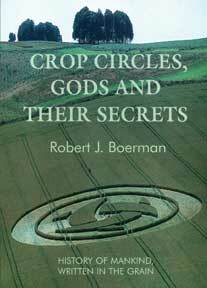 This book, written in English by Dutch crop circle researcher Robert Boerman, is a well-illustrated volume on recent crop circles and their decoding via ancient Sumerian and numerology to reveal an attempt to communicate the true history of mankind and the return of the 12th Planet. Boerman packs his book with mini chapters on: The Seven Seals of Atlantis; Planet X: Nibiru; The Cross, Symbol of Nibiru; Genetic Manipulation; The Sexagesimal System of Numbers; Is the Great Pyramid Older than 10,450 BC? ; 12 Strands of DNA? ; 52: The Game of Thoth; Tellurium; Gematrian Numbers; A Return of the Gods in 2012? ; Proof of a 12th Planet? ; more. For all those interested in Crop Circles, the 12th Planet, the Annunaki, and genetic manipulation.